A city of contrasts. A city so dynamic & full of life that you’ll never run out of new things to see & do. Kuala Lumpur is a place where modernity meets tradition. Until the middle of the 19th century, the area where Kuala Lumpur is currently located was covered with rainforests. It was only after the arrival of Chinese workers, who came there to work in tin mines, when the settlement was established and quickly transformed into the most important city in this region. Today, Kuala Lumpur is one of the most dynamically developing Asian cities. As the capital of Malaysia and a major cosmopolitan center for the region, Kuala Lumpur offers a slew of experiences for travellers. Travelling To Kuala Lumpur? Everything You Need To Know is right here. You’ll get non-stop flights from major cities in India, such as New Delhi, Mumbai, Chennai & Bangalore. After reaching at the Kuala Lumpur International Airport, you can hop on the non-stop KLIA Ekspres train for a reasonably-priced half-hour trip to downtown. Also available are buses, taxes, or car-hires, but they generally take an hour to complete the trip. So finally you’re in Kuala Lumpur. Let’s get you started. Shall we? When you visit the city, you’ll find a place with arms wide open to visitors, and plenty of things to do and places to visit in Kuala Lumpur! Explore historic monuments, taste delicious food from street vendors and gourmet chefs, stare up at the massive towers, and enjoy a picnic in one of the parks. Bukit Bintang is the place to be if you’re in your twenties. It’s one of the hippest shopping districts in the city, and thousands of locals and tourists stream in daily to browse the malls or visit some bars and nightclubs. Don’t miss Jalan Alor where you can find some of the best street foods in Kuala Lumpur! For a taste of the other side of Asia, head to Little India, where you’ll be enveloped in Bollywood music, the scent of curry, and the colorful flash of saris and scarves. Eat a Thali at one of the Indian restaurants! KL is the heart of shopping for shopaholics. If you’re into street shopping, the Petaling Street in Chinatown will blow your mind away with plethora of colorful fabrics, stalls & food. At Petaling Street Market you can find anything from T-shirts and jewellery to electronics and DVDs, and all at low, low prices. However, the best part about this shopping spot are the food stalls just off the main strip. Here you will find hungry locals chowing done on steaming bowls of bowls of Asam laksa, traditional Hainan chicken rice and spicy mee goreng. The city is home to Muslims and people of various Eastern religions, therefore you will see plenty of temples and mosques in Kuala Lumpur. If you have only one day in KL, try to pay a visit to at least one of them. The Thean Hou Temple is an Oriental-style monument to the Chinese sea goddess. It encompasses Buddhism, Taoism, and Confucianism in a syncretistic house of worship to this deity. The National Mosque, also known as Masjid Negara, is a stunning modern structure decked out in blue and gold. It has the capacity to hold 15,000 people and it is seen as a monument to Malaysian independence. One of the most important icons in Malaysia are the majestic Petronas Towers. When you stand below the famous twin towers, it’s hard to believe that they’re not the tallest buildings in the world. The design is a modern reworking of traditional Islamic architecture, as can be seen by the shape of the top of the towers. The towers are connected by an enclosed bridge about halfway up. If you have an hour time to kill, buy a ticket which gives you access to the Sky Bridge on the 41st floor, and the Observation Deck on the 86th floor. Another popular building is the Menara Kuala Lumpur Tower, which is the tallest TV tower in the world. For several years, it has been attracting visitors with Skybox – a room with a glass floor, walls and ceiling, located 300 meters above the ground. Only a few minutes spent in Skybox will make you feel like a bird soaring above the city. When paying a visit to Menara, it is worth checking out the revolving restaurant at the very top of the tower. A full rotation of the restaurant takes a little bit over an hour, which allows you to enjoy a panoramic view of the city. Moreover, the capital of Malaysia provides thrill lovers with a bath in pools located on the roofs of hotels, where they can admire the tops of the Petronas towers. There’s a certain trend happening in Kuala Lumpur nightlife scene, and a curious one, no doubt. Once the sun sets over Kuala Lumpur, the streets come alive with modern speakeasies, sleek cocktail bars, live music venues, rocking nightclubs and spectacular rooftop bars. Whether you want to dance the night away, enjoy a cocktail under the stars or watch the city lights twinkle below you, Kuala Lumpur’s bars & cafes will provide you with ample amount of energy & thrill. No matter what your budget is, KL provides accommodation to every type of traveller. You just want to make sure that you’re staying in the city center, so you can easily walk around or take advantage of the public transportation. Go ahead & have a gala of time in Kuala Lumpur. 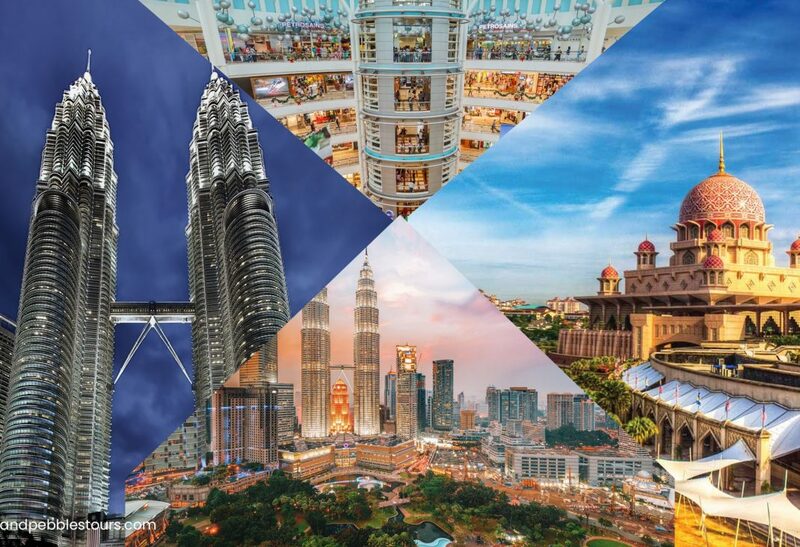 Grab your KL travel package now!